Project Officer, Sarah-Jayne Forster, tells us about the redevelopment of the West Court in the Kelvingrove Art Gallery and Museum, and how visitors can now find out all about the albatross, its amazing migrations, and the work that's underway to help save these fantastic birds. 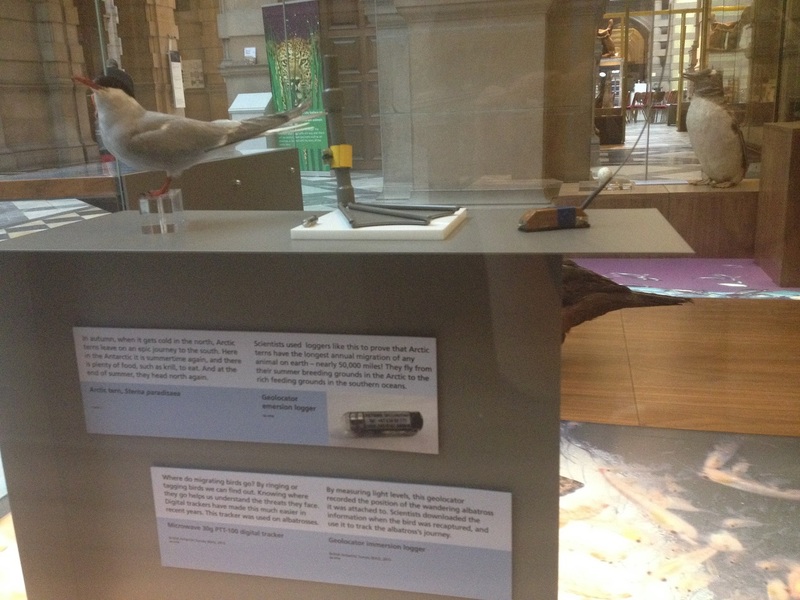 In 2007, RSPB Scotland started a new project at the Kelvingrove Art Gallery and Museum in Glasgow. 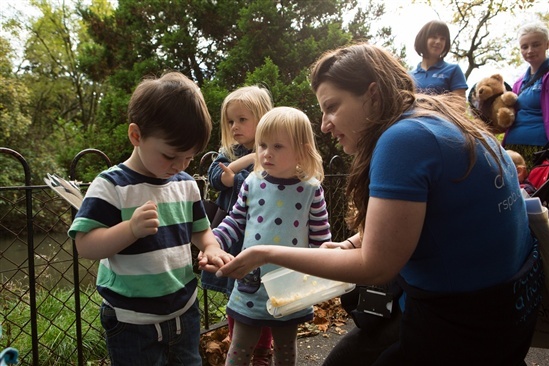 The initiative, run in partnership with Glasgow City Council and Glasgow Life, was set up to help people learn about the wildlife that shares their city, and was centred around the museum's impressive natural history collection. Ever since, RSPB staff have been on hand to help interpret the exhibits to visitors by relating them to living animals and conservation projects around the world. Nine years later, this hugely successful project has now evolved into Giving Nature a Home in Glasgow, which works city-wide, and involves field teaching, events, volunteering, partnerships with grassroots organisations, a living history project, and the Glasgow Wildlife Garden Festival. But its heart is still in the Kelvingrove. This year, the West Court, the main gallery in the ‘life’ side of the museum, was redeveloped, prompted by the need to carry out a health and safety inspection on the iconic Spitfire mounted from the ceiling. It was decided this was a good opportunity to refresh the whole display, and show new objects that have been, until now, in storage.The RSPB was asked to be involved, and we were more than happy to assist! Through using the specimens in the wildlife gallery, we can celebrate Scottish nature, but we can also encourage people to get excited about animals and places they may never get the chance to see. The exhibits help to highlight conservation work to some of the million plus visitors to the museum every year, gaining support for amazing animals like giraffes and elephants, lemurs and tigers that can capture the imagination from an early age, but also need support in the wild. I worked with the talented team of managers and curators to help decide which specimens would be included in the new gallery, researched and wrote some of the stories, and advised on the wildlife conservation section. But my biggest project was the wandering albatross. The albatross is a new display that was donated by the British Antarctic Survey (BAS), and put together with financial assistance from the public. Dr Richard Phillips from BAS was consulted through the process and donated data loggers, the tiny satellite recorders which are used to track the birds’ migration and study their foraging behaviours (PTT tags – ‘Platform Transmitter Terminal’) and geolocators. BAS have helped develop this technology which has revolutionised our knowledge on seabird migrations. Data trackers are attached to birds in different ways depending on the size of the bird and their behaviour. The RSPB does a lot of tracking of red kites, which we helped reintroduce to Scotland, and generally birds of prey are very tolerant to having the data trackers attached by harnesses like a little back pack. However seabirds are a bit fussier as they need to keep themselves waterproof. The PTT tags are therefore attached to the birds with cloth backed TESA tape, which means they’ll eventually fall off, but it is much better for the bird’s welfare. To attach them the tape is put directly under the feathers sticky side up, the loggers then go on the top and the tape wrapped round. This doesn’t hurt the birds, and as albatrosses have no fear of humans, they don’t even have to be restrained. Geolocators are also attached to the bird’s leg on a ring so they are submerged when the bird is feeding on the water. Once the loggers are attached to the birds they can be used to track them wherever they go, which for birds with such long migrations, can tell us a lot of information we would never be able to find out. As well as the devices themselves, the research data collected will be in the gallery in the form of a large map, showing the huge migration of these amazing birds around the whole of the Antarctic, and the coast of South America. Dr Phillips was also able to yield further information about the life of the albatross that is now on display. In 2007, he was found badly injured and later died at the breeding colony on Bird Island, Antarctica. He had been monitored by scientists, and so we know he was 34 years old, his mate died in 1999, and although they raised 7 chicks together, unfortunately none of them survived to return to breed themselves. This sad story is not unusual. At least 160,000 seabirds are estimated to be killed every year by longline fisheries, which catch fish using lines that are miles long with thousands of baited hooks attached. Seabirds are attracted to the bait, which may result in capture on the hooks and death through drowning. The RSPB and Birdlife International set up the Albatross Task Force in 2005 with teams working with fishermen to stop albatross bycatch. Rory Crawford from the taskforce (who himself used to work at the Kelvingrove project!) donated some examples of the inventive ways they’ve come up with to protect the birds, such as torri lines which scare the birds away, and line weights which help sink the lines away from foraging birds. It’s been a fantastic experience helping all these exhibits come together, and I really hope you’ll come along, take a look, and learn more about the work going on around the world to help save species like the wandering albatross. A member of the RSPB Scotland team will be in the gallery most days, and we run events every weekend in the afternoon, conservation workshops once a month, and I also run a ‘tweeting toddlers’ session for 1-3 year olds every Tuesday at 11.30am. To find all up-coming events in Glasgow, visit this page. More information about Giving Nature a Home in Glasgow. More information about the Albatross Task Force. More information on the Kelvingrove Art Gallery and Museum.